TEL AVIV — Sixteen jihadists from the Gaza Strip have been killed in recent days in Syria, where they were fighting in the ranks of the Islamic State, senior jihadist Abu Abdel Rahman al-Maqdesi told Breitbart Jerusalem. 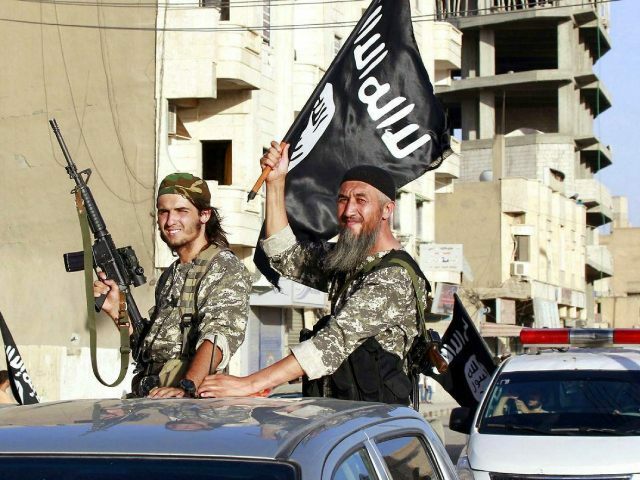 Abu Jazar moved up the ranks of IS and became one of the organization’s most senior members in the region of Aleppo. According to al-Maqdesi, Abu Jazar’s family and the families of the other jihadists killed recently were informed of their loved ones’ deaths partly through Palestinian jihadists who continue to fight with IS in Syria. Another prominent figure killed recently was Abdullah Kulab from Rafah, the jihadist said. Kulab was a brother of Mustafa Kulab, who blew himself up last August along with a Hamas patrol that tried to prevent him and another jihadist from crossing into Sinai. A Hamas police officer was killed in the blast. Those killed also included Imad al-Nahass, Muhamad Abu Shbeika and Muhamad Abdelal. Abu Shbeika and al-Nahass spent some time as operatives for Hamas’ “military wing” before leaving the group and joining IS in Syria and Iraq.